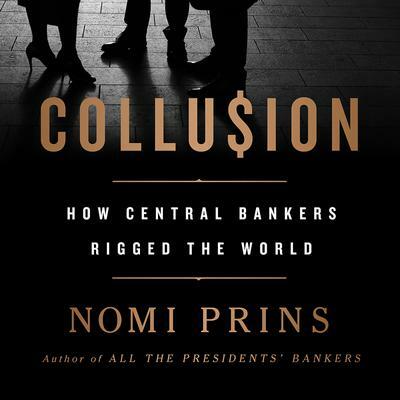 Through on-the-ground reporting, Prins reveals how five regions and their central banks reshaped economics and geopolitics. She discloses how Mexico navigated its relationship with the US while striving for independence and how Brazil led the BRICS countries to challenge the US dollar's hegemony. She explains how China's retaliation against the Fed's supremacy is aiding its ongoing ascent as a global superpower and how Japan is negotiating the power shift from the West to the East. And she illustrates how the European response to the financial crisis fueled instability that manifests itself in everything from rising populism to the shocking Brexit vote. Packed with tantalizing details about the elite players orchestrating the world economy--from Janet Yellen and Mario Draghi to Ben Bernanke and Christine Lagarde--Collusion takes the reader inside the most discreet conversations at exclusive retreats like Jackson Hole and Davos. A work of meticulous reporting and bracing analysis, Collusion will change the way we understand the new world of international finance.